Luminosity is a primal concept in photography referring to the state of producing or reflecting light. 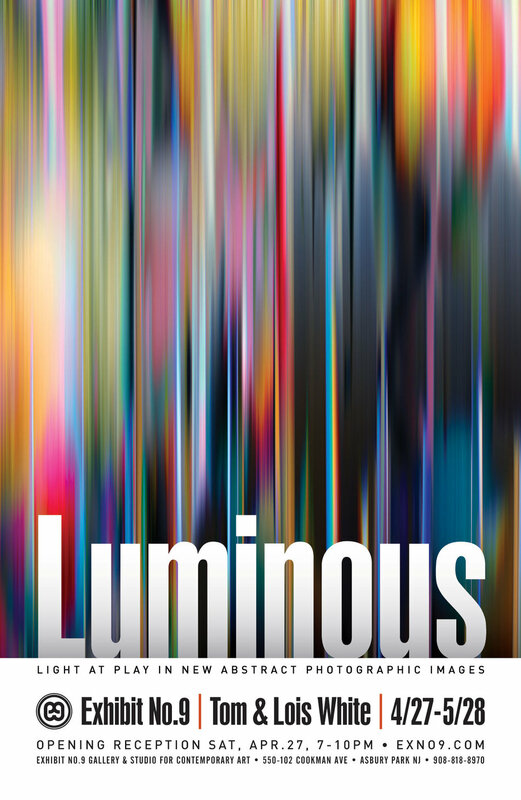 In Luminous, Tom & Lois show new work that stars light as the main character in abstract form and uses familiar venues to expose a different way of thinking about photography. As artists and technicians, they exploit the limits of digital media and print technologies to stay on the leading edge in the ever-evolving landscape of contemporary photographic image making. Lois' translucent images of light evoke movement and stillness, energy and quiet, and are captured purely in camera. They touch the spectrum of softness, vibrancy, bold color, and black and white, and are gestural, organic, and ethereal. Tom's deconstructed urban landscape photos transform into stylized architectural abstractions. In a 180-degree turn, his highly detailed magnifications of minerals and gems are larger than life and reveal all their magnificent facets.